Today, we’re going to make one of those exceptions we like so much. We’re going to break our own rules and refer to a piece of news from a Basque medium, EITB-Basque Radio and Television. And we’re doing so because this news item is just that good. Our regular readers will already know that we love matters related to genetics, and this case will be no exception. A study in with the University of the Basque Country (UPV) has participated has had some very interesting findings: that the Basques from the Baztán area of Navarre are direct descendents of the Basques that lived in our country 15,000 years ago. But that’s not all. 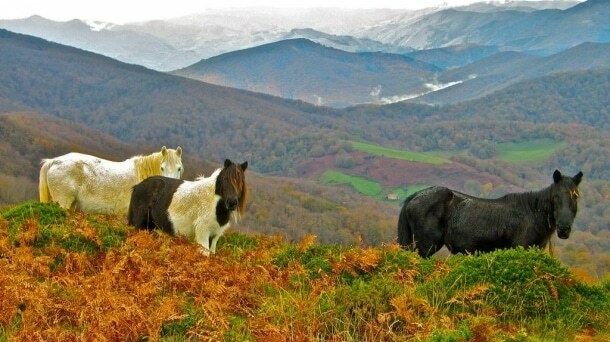 The study also shows that 75% of the current inhabitants of Europe have as an ancestor a Basque riding horseback through the Pyrenees in the last ice age. Or, to say it another way, our old people was the first to colonize Europe after the last ice age. To this we’d like to add another reference, this time from Investigación y Ciencia, which is the Spanish edition of Scientific American, which, in January of 2003, published an article by Elisabeth Hamel, Theo Vannemann, and Peter Forster called “The Original Language of Prehistoric Europeans”, and which gave that title to Basque. This linguistic article was accompanied by information from genetic studies that back up that claim. This article is behind a paywall. 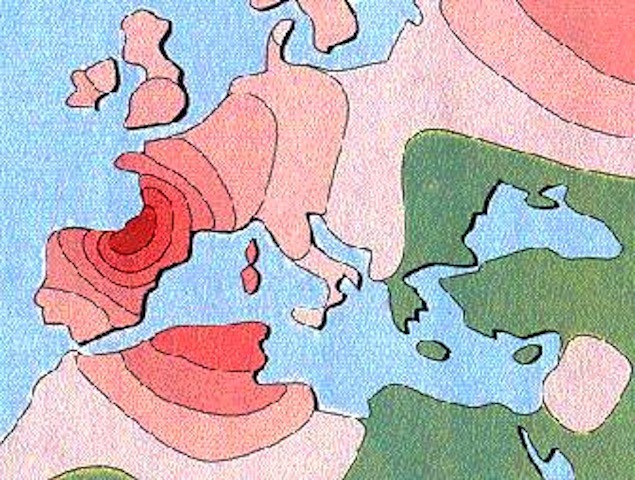 Les habitants de Baztan (Pays Basque sud, Navarre) se trouveraint parmi les populations les plus anciennes de l’Europe. De nombreux habitants descendent en ligne directe des Basques d’il y a 15.000 ans, selon le groupe de recherche BIOMICs de l’Université du Pays Basque, qui a analysé l’ADN mitochondrial, un ensemble de gènes que tout individu hérite uniquement de sa mère, de plus de 200 habitants de Baztan. Gaztelugatxe is a finalist for the “Best Cinematographic Location in Europe” award–go vote for it! The survival of the Basque language: can it be explained by genetics? San Sebastian, candidate for “Best European Destination 2017”–You can vote to make it happen!